While there is a lot of information out there about how to gain value from LinkedIn, most of it is aimed at large companies or individuals. Some of this information can be useful, but some of it can cause you to make mistakes that present your business in the wrong light. 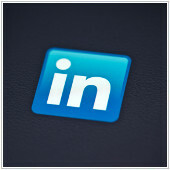 As an SMB owner, you need to utilize LinkedIn in a way that matches your business size. That’s why we’ve provided these tips catered to SMBs who want to gain more value from their time spent on LinkedIn.